IKON is a quality training organisation providing hands-on grounding in the therapeutic practice of caring for the psyche. 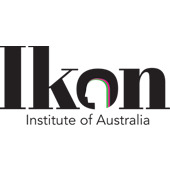 IKON Institute aims to give graduates the skills and knowledge to move forward with satisfying careers as therapists. The Discovery Webinar series is a collection of short, complimentary webinars, of one hour duration, and are a great opportunity for anyone interested in gaining new skills or a new career in the topic presented. Each webinar is presented by a current IKON trainer (and practicing therapist) and will provide information on course topics, case studies and relevant industry insights! A must for anyone considering study in 2019! !